Dessie Barnwell Thompson was born on March 4, 1935 to the late Quincy Barnwell and Mae-Bell Harbin Barnwell Ruffin. 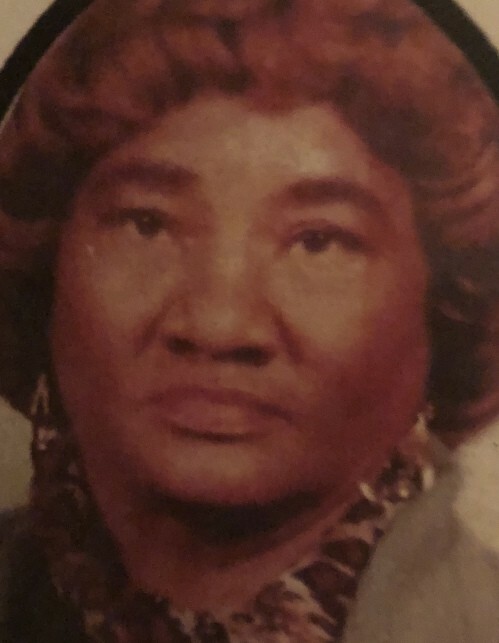 She departed this life on March 15, 2019 at the age of 84 at Jeff Anderson Hospital in Meridian, MS.
Dessie confessed her life to Christ at an early age at Pleasant Hill Baptist Church in Yantley, Alabama. She later joined Christian Fellowship Church in 2008 where she attended until her health started to fail. She was united in holy matrimony to the late Marshall Thompson, Sr.
Dessie was preceded in death by George Barnwell, Roy Lee Barnwell, Levell Barnwell, Michael Thompson, Marshall Thompson, Jr.; sisters, Bertha Barnwell, Quincy Mae Willis; brothers, Beaury Barnwell; and husband, Marshall Thompson, Sr.
She leaves to cherish her memories: two devoted daughters, Patrican Gorman of Butler, AL, Deborah Thompson of Lisman, AL; two devoted sons, Roosevelt Barnwell (Gloria), Herman Thompson; two sisters, Fannie E. Kennedy of Laurynburg, NC and Mary Bishop Ruffin of Sandflat, MS; three adopted siblings, Patricia Harbin, Levorn Harbin, Belove Harbin; a daughter-in-law, Georgia (Ann) Thompson; two devoted friends, Crystal James, Rosa Jones; special friend Deborah Marsh; 22 grandchildren; 54 great grandchildren; 2 great-great grandchildren; and a host of other relatives and friends.